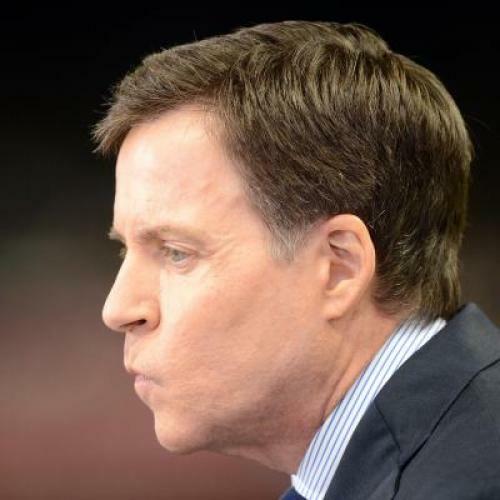 In an excerpt from his 2011 book An Accidental Sportswriter, published on Deadspin, the legendary Robert Lipsyte described how his feelings toward Bob Costas had evolved over the years. The NBC sportscaster had once told Lipsyte, who often wrestled with sports’ political implications, “In the sixties and seventies the issues were more clear-cut—gays, women, Ali—and you were on the right side.” But, Costas added, “Now the prevailing tone is so mean you have to play it straight. It’s not clear-cut, black and white. There needs to be more nuance. There’s more of a need to celebrate”—a defense, perhaps, of his own instinct to err on the side of affirmation. Lipsyte came away with the impression that Costas is half-journalist, half-shill, albeit somebody with the talent to do great work as a pure journalist—if he would only decide to. Some on the left praised him for raising the point at all, and the right, of course, pilloried him for supposedly attacking the rights of gun owners. (Lipsyte was thrilled.) The sports-fan community, meanwhile, accused him of talking down to viewers and, in the words of Deadspin writer Sean Newell, being “another angry old guy yelling from his porch” (the post was titled, “Here Is Bob Costas’ Sanctimonious, Horseshit Editorial on Jovan Belcher”). Tuesday night on "The Last Word with Lawrence O'Donnell," Costas clarified his remarks, saying, “Do I believe that we need more comprehensive and more sensible gun control legislation? Yes, I do.” Which, of course, makes you wonder why he didn’t just say that at first—in the middle of the highest-rated show of the week, rather than during the ten-spot on MSNBC. Should Costas have just offered up a few bland, milquetoast words, as he did when controversial former NFL owner Art Modell died earlier this year? Or should he have taken an even stronger stand—for starters, by writing his own words rather than quoting somebody else’s, and more to the point, by actually advocating sterner gun control, which he now claims to support, on network television? One thing is clear: choosing the middle route was entirely in keeping with Costas’ career-long quest for more “nuance.” The way sports are consumed in 2012, though, makes this route less tenable than ever. Growing up in Queens with a father who constantly had gambling debts, Costas learned to love sports and loathe risks. “I think the best line ever written about me was, ‘He’s reverent and irreverent at the same time,’” Costas once said. As an opinionmongerer, he is known for his traditionalism and purism. He was initially against allowing wild cards to enter Major League Baseball’s playoffs, for example, and last year delivered a commentary (during halftime on Sunday Night Football, like this weekend’s gun remarks) against excessive celebrations of touchdowns, saying, “True style is in decline, while mindless exhibitionism abounds.” Though not everyone agrees with him, Costas rarely fails to be congenial and magnanimous—he even admitted later he was wrong about wild cards—and besides, the grounds for contention remain firmly within the foul lines. Sunday night, he was going for a similar type of plausible deniability. In the wake of an historic sports event, and with 20 million viewers watching, Costas said a few meaningless sentences about “perspective” and then effectively outsourced the rest of his commentary to Whitlock. He hedged in order to try to make himself inconspicuous. The sports world has evolved beyond a place when you can stay above the fray, particularly when you are as ubiquitous as Costas is. In 2012, we discuss human ugliness manifested in sports, as we did when Lipsyte was tweaking Ali’s detractors as barely hidden racists. But, having learned from Lipsyte that sports is a sort of civic religion, we use it as a launching pad to discuss broader issues like, say, the prevalence of handguns in this country—and we do it without equivocation or apology, and in our own words. Today you can be a great sports journalist, but you have to get your hands dirty. You can also be a great shill, although you may have to sell your soul. What you can’t be anymore is Bob Costas.